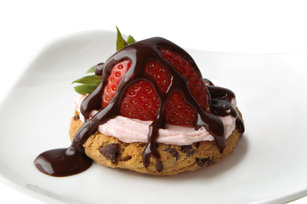 Satisfy your sweet tooth with our Strawberry Split Bite. This bite-size sweet treat is sure to put that craving to rest. Top cookie with remaining ingredients. Prepare using your favourite variety of Philadelphia Cream Cheese Product and fruit.